A view from the south western side of the Rhinns of Islay, the natural arch near Port Fròige with Lossit Bay in the background. The beach and dunes at Lossit Bay are hidden from view by the cliffs in the middle distance, unfortunately beach and arch can’t be seen together. 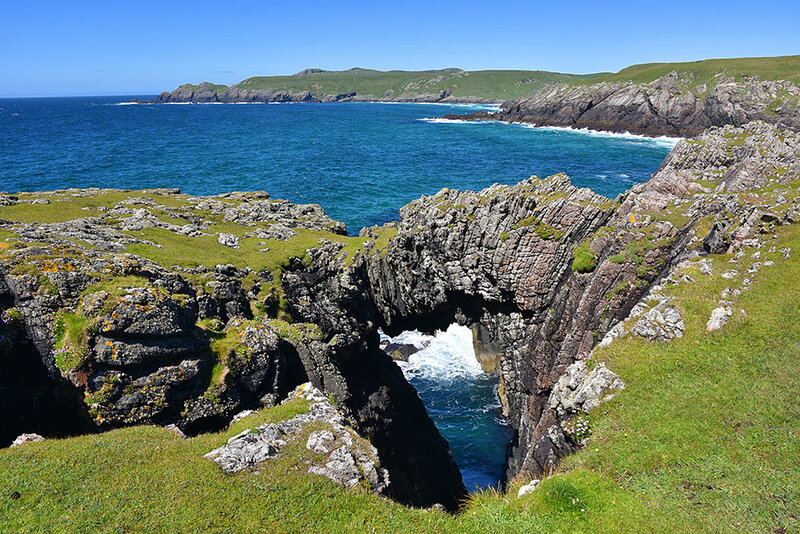 This entry was posted in Landscape, New Post, Sunny Weather and tagged Islay, Lossit Bay, natural arch, Port Froige, Rhinns of Islay by Armin Grewe. Bookmark the permalink.